The new Java EE specification MVC 1.0 (JSR 371) and it’s reference implementation Ozark brings action-based MVC for Java EE 8 platform. MVC 1.0 is a good friend for me because I always thought why can’t we return a view from Jax-RS resources when I develop RESTful Web Services. Thus, Ozark implements this wish by using JAX-RS and CDI together. 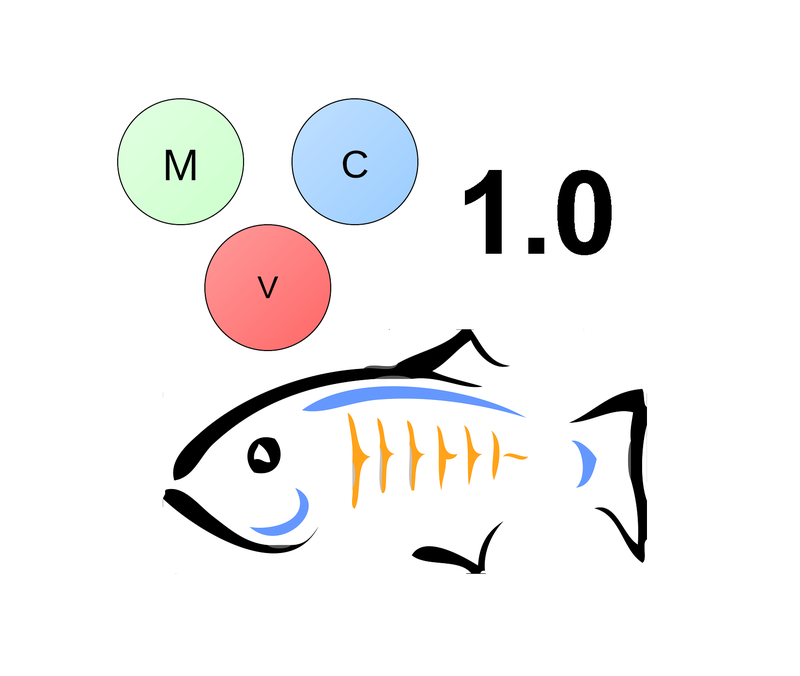 MVC 1.0 RI (Ozark) works together with Tomcat and Glassfish seamlessly. If we want to run MVC 1.0 apps on Tomcat, we need to put the following dependencies into our web application. Includes spec’s interfaces, annotations eg. However, if we want to run MVC 1.0 apps on Glassfish, we don’t need to put CDI and Jax-RS dependencies into our application archive anymore because Glassfish contains CDI and Jax-RS modules out of the box. So, that is enough to put MVC 1.0 Spec API and Ozark RI into our web application to run it on Glassfish. However, Glassfish 5 is the reference implementation for Java EE 8 (JSR 366), so MVC 1.0 should be a bundled module in Glassfish 5. This blog is about how to ship MVC 1.0 into Glassfish 5 as a module. Glassfish uses OSGI for the module system and Apache Felix as an OSGI implementation. So, we should generate an OSGI bundle for MVC 1.0. There are some properties for an OSGI bundle that describes the bundle. The values are easily understandable but you may not understand Export-Package and Import-Package properties if you have not experience with OSGI. Declares that this bundle includes those listed packages. Declares that this bundle requires those listed packages. Let me show you how I created a Glassfish Module for MVC 1.0. You can follow up with the same steps for the new Java EE specs to move it into Glassfish. MVC 1.0 Spec APIs and Ozark RI codes are located at java.net. When I look at the different Java EE Specs, some of them use a single repository that have Spec API and RI together and some of them use separated repos like MVC 1.0 and Ozark RI. We actually don’t edit MVC Spec API, we will only edit Ozark sources. The majority of the Java EE specs use Maven as a build system. The first step here is to change <packaging>jar</packaging> to <packaging>bundle</packaging> in Ozark sources’ pom.xml because we want to ship our artifacts as an OSGI bundle instead of a classic jar. After we change packaging type to the bundle, we must also enable Apache Felix’s bundle plugin in the pom.xml file. 1 maven-bundle-plugin ships javax.mvc and org.glassfish.ozark packages and their sub-packages into the bundle. javax.mvc package is the root package for MVC 1.0 Spec API and org.glassfish.ozark package is for Ozark RI. Ozark RI strongly uses CDI ,but Glassfish doesn’t automatically register CDI beans declared in its modules. So, We need to tell Glassfish to discover CDI beans declared in Ozark by CDI extension mechanism. Ozark has already a CDI extension named OzarkCdiExtension under org.glassfish.ozark.cdi package. This extension currently registers a new RedirectScope for MVC 1.0. The extension is registered in services/javax.enterprise.inject.spi.Extension file. We can use the same OzarkCdiExtension extension to complete our work. Arjan Tijms gave me a hint to register annotated types in a CDI extension. The following CDIUtils#addAnnotatedTypes method registers one or more annotated types to discover them by the CDI container. * @param beforeBean The BeforeBeanDiscovery. * @param beanManager The BeanManager. After writing this helper method, we can register Ozark’s annotated types in OzarkCdiExtension like below. So Let’s bundle Ozark sources after completing Step 4 with mvn clean install -DskipTests command. We will see the bundle jar in the /target directory. Now, the generated bundle can be moved to the Glassfish /modules directory like any bundles moved here before. The Glassfish module generated with the current MVC 1.0 and Ozark sources is located at https://github.com/rahmanusta/ozark/releases/tag/v1.0. You should manually copy/paste the bundle jar to the Glassfish $GF_HOME/glassfish/modules directory to run MVC 1.0 applications. Let’s test the module with a simple MVC 1.0 application. Extract the downloaded zip and copy javax.mvc-1.0.jar module to the $GF_HOME/glassfish/modules directory. Change directory to the /bin directory in terminal and run the following asadmin command to start Glassfish 5. Build project with the given Maven command in the mvc-demo directory. You will see the mvc.war file located at the mvc-demo/target directory. Run the following command to deploy demo MVC 1.0 app to the Glassfish 5. If you look into mvc.jar file with an archive application (Winrar, 7zip eg.) then you will not see any jar dependency inside it. Because, Glassfish 5 has all required modules anymore. Browse http://localhost:8080/mvc/app/person location and test the application. Let’s follow the Java EE Guardians. I hope to see you again. adoptajsr, Genel, JavaEE8 glassfish5, javaee8, mvc1.0, ozark. permalink. JUG kritik – Hiçbir Java Kullanıcı Grubu kar amacı gütmez!